4k00:08SLOW MOTION, CLOSE UP: Unrecognizable woman catching setting sun with her heart shaped fingers. Young girl making the symbol of love with her hands against stunning golden sky and rising morning sun. 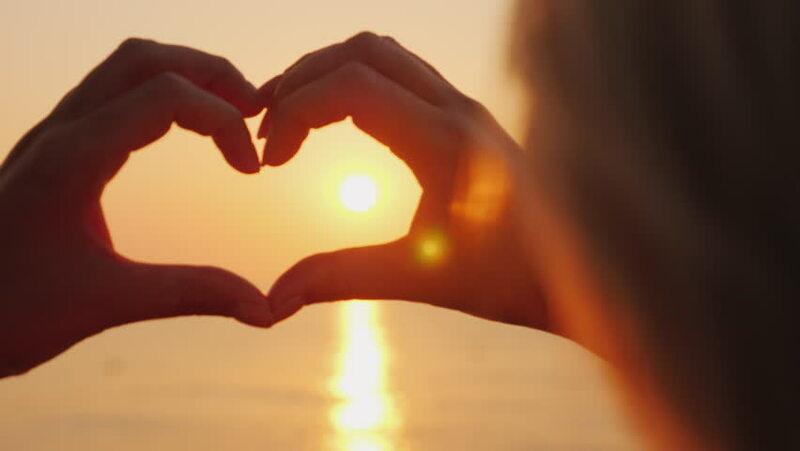 hd00:28Young beautiful girl makes heart by her hands in heart shape framing setting sun at sunset over ocean. Emotional concept of happy exclusive lifestyle moment, sharing time, relaxing.